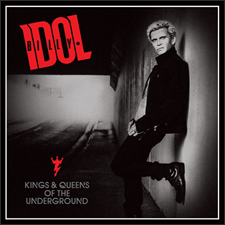 UMe and punk rock icon Billy Idol celebrate several of his best-loved works with newly remastered vinyl reissues of Idol’s first two solo LPs, Billy Idol and Rebel Yell, plus the expansive double-LP greatest-hits collection Idolize Yourself: The Very Best of Billy Idol. Each release is available beginning October 20 on high-quality vinyl with faithfully reproduced iconic original album art. 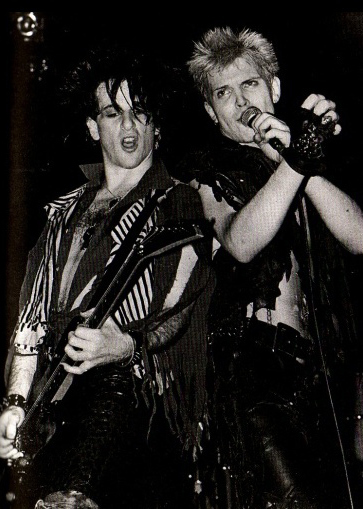 Billy Idol’s series of successes in the early 1980s brought punk attitude into the pop mainstream. With a career that stretched back to the original British punk scene as the frontman of scene trailblazers Generation X, the swaggering, charismatic Idol relocated to New York City at the dawn of the ’80s and reinvented himself as one of the era’s most consistently popular performers. Originally released on November 10, 1983, the multi-platinum smash Rebel Yell built on the foundation created by its predecessor and features Idol advancing and evolving his dance infused rock/pop sound. Once again working with Stevens and Forsey, with recording done at New York’s Electric Lady Studios, Rebel Yell was a commercial smash featuring songs including the legendary title track, “Eyes Without a Face,” and “Flesh for Fantasy.” Each of these hits are represented by iconic music videos that kept Idol in the public eye during the initial heyday of MTV. Each of Billy Idol’s recordings retain their original power. despite many of them having been released over thirty years ago. There is no better way to hear them than on these classic albums, newly released on high-quality vinyl. Vinyl LPs and exclusive bundle options on sale now in the Official Billy Idol store while supplies last! 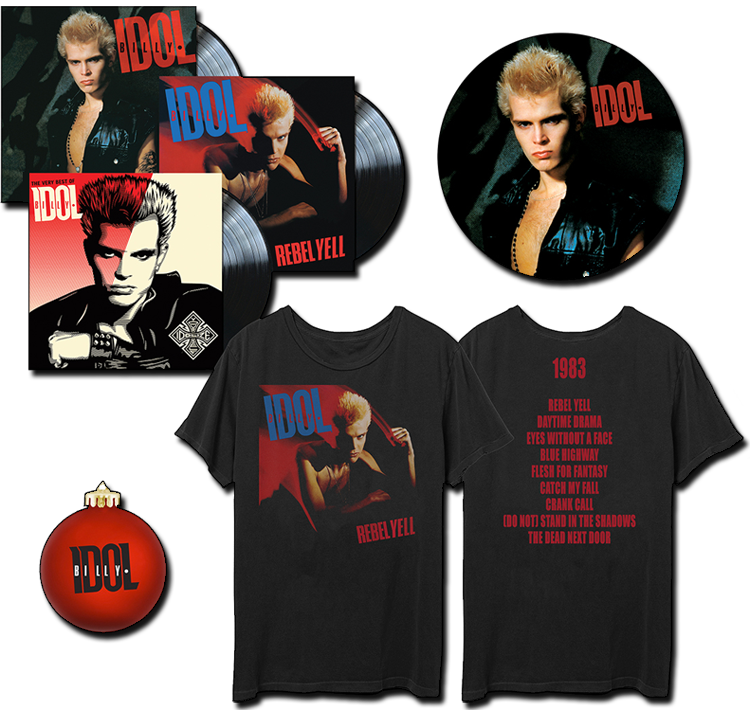 Includes all three (3) vinyl LPs Billy Idol, Rebel Yell and Idolize Yourself: The Very Best of Billy Idol plus a vintage style Rebel Yell t-shirt, turntable slipmat and a shatter-proof holiday ornament. 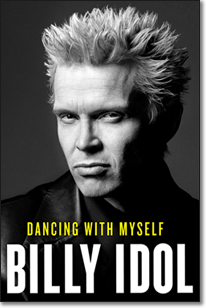 Includes all three (3) vinyl LPs Billy Idol, Rebel Yell and Idolize Yourself: The Very Best of Billy Idol. 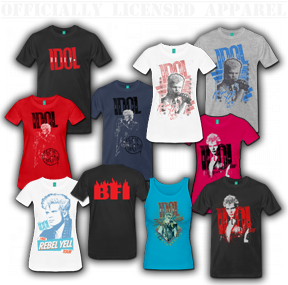 Note: Each vinyl LP and the vintage style Rebel Yell t-shirt are also available for sale separately in the official store. SHOP LPs & BUNDLES NOW! VINYL LPs ALSO AVAILABLE NOW IN LIMITED QUANTITIES AT AMAZON AND SELECT RETAILERS.